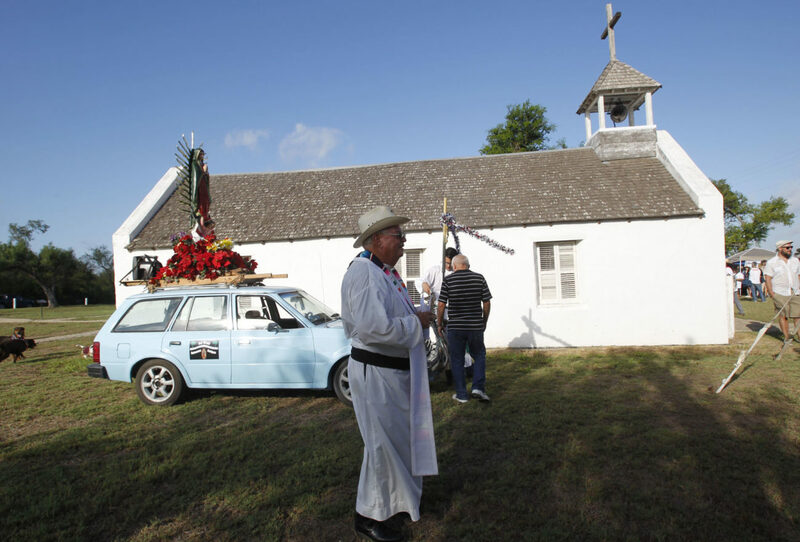 BROWNSVILLE — The Missionary Oblates of Mary Immaculate threw its support behind the Catholic Diocese of Brownsville and Bishop Daniel E. Flores against the federal government’s plan to build border fencing on land the church owns in Hidalgo County. In the statement, Studer said he stands with Flores in asking that La Lomita, which the church considers a sacred site, not be divided. “No mere border, however fortified, can begin to address the varied reasons why people take enormous risks and make incredible personal sacrifices to seek an appropriate and dignified life for themselves and their families,” Studer said. In the statement, Studer said La Lomita has been sacred since its earliest days for the Missionary Oblates of Mary Immaculate and the people it serves, regardless of their country of origin. Furthermore, Studer said, building the border fence will not solve the complex problems of asylum, immigration and the conditions that spur people to choose the path of a migrant. The government on Oct. 25 filed a Declaration of Taking to use eminent domain to take Diocese of Brownsville property that includes the La Lomita Chapel and property south of the Juan Diego Academy in Mission on brush land next to the levee. The Diocese of Brownsville opposes the government’s taking of its land on numerous grounds, including that the church believes the taking infringes on its First Amendment right to practice religion freely. The church also alleges that the Oct. 10 Department of Homeland Security’s waiver of more than two dozen laws to build the fencing exceeds the authority authorized by Congress. Right before Thanksgiving, the federal government filed a motion asking a McAllen federal judge to grant it immediate possession of the property to implement its congressional directive and to fulfill President Donald Trump’s executive order authorizing the building of more border fencing. In court filings, the Diocese of Brownsville said it is opposed to the government taking immediate possession and has already set forth numerous detailed objections and defenses against the taking, along with arguing that the government has not adequately and fully set out why immediate possession is necessary.